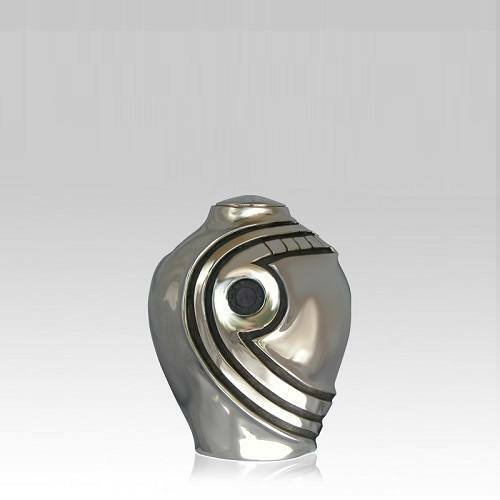 The Mayan Obsidian Bronze Keepsake Urn with a Obsidian stone insert is made from solid bronze with a wonderful, polished pewter finish. 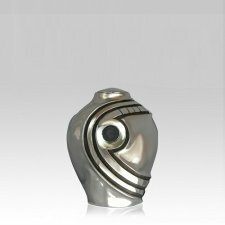 The urn is made by one of the leading sculpture artists in America. The smaller size is ideal for families who are sharing a small portion of remains. This keepsake urn can create a memory of your loved one with peace.